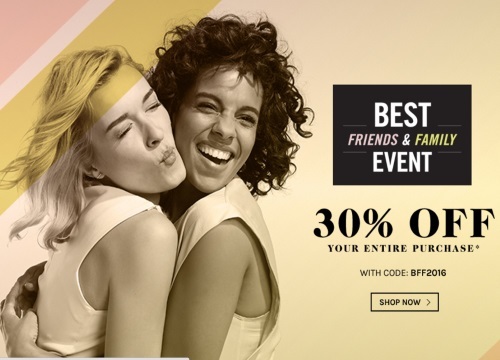 Naturalizer has a Best Friends & Family Event on now! Save 30% off your entire purchase! Click on the link below to browse their selection of new shoes and handbags for spring/summer! Enter the promo code BFF2016 at checkout. Offer ends April 11, 2016.